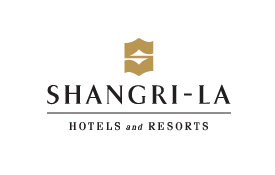 Shangri-La, a name originally inspired by James Hilton's legendary novel Lost Horizon, lives up to the ideal of a distant, beautiful, and secluded hideaway. The name perfectly captures the serenity and service for which Shangri-La properties have come to be recognized. Shangri-La offers a special kind of hospitality. Hospitality from the heart. Stay in five-star luxury and earn Miles at more than 100 hotels and resorts throughout Asia Pacific, the Middle East, Europe, North America, and the Indian Ocean. Please give your membership number when making a reservation and present your Emirates Skywards card at check-in. Convert Golden Circle Award Points to Skywards Miles. Members must also be Shangri-La’s Golden Circle members to earn Golden Circle Award Points. The points can then be converted into Skywards Miles with the ratio of 1 Golden Circle Award Point to 1 Skywards Mile. The minimum conversion is 2,500 Golden Circle Award Points. Golden Circle terms and conditions apply.